INDIANAPOLIS - With pitchers and catchers reporting to Bradenton for spring training in less than a week and Pittsburgh's rotation all but set, we preview eight candidates who could form Indy's starting staff. Mitch Keller: Keller enters the 2019 season as the Pirates' top prospect and sits at No. 4 on MLB Pipeline's top ten prospects for RHP. He was drafted out of Xavier (Cedar Rapids, Iowa) High School in 2014 in the second round as the 64th overall pick. 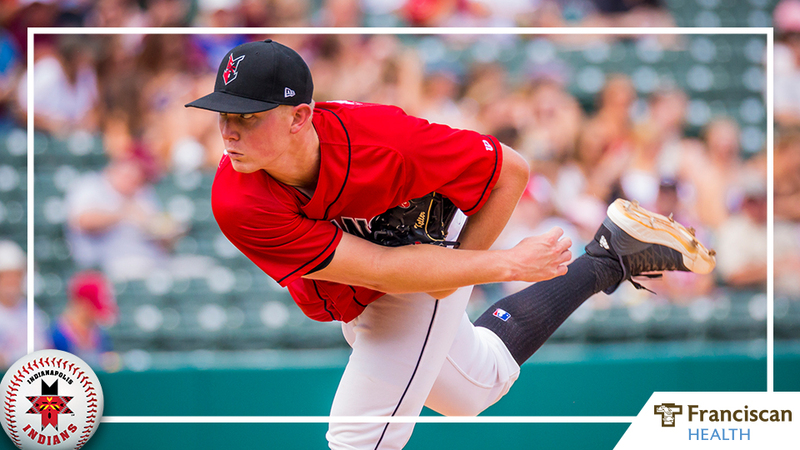 Despite minor injuries in 2015 and 2017, Keller made his first start for the Indians at just 22 years old last year and three weeks later got the nod for the U.S. team in the Futures Game. From July 22 to Aug. 31, Keller strengthened his command and registered a 3.09 ERA, a vast improvement from his first two Triple-A outings. He averaged less than one home run allowed to go along with 8.5 strikeouts per nine innings. Clay Holmes: The Pirates' No. 17 prospect was their go-to man in 2018 - if Pittsburgh needed a spot start or an innings eater, Holmes could provide it. He started out the season with the major league club, and then made five additional trips to Pittsburgh throughout the summer. In 95.1 Triple-A innings he threw for 100 strikeouts and allowed only four home runs, registering eight wins and a 3.40 ERA with the Tribe. Alex McRae: McRae is also a potential Tribe starter that saw major league time last summer. In 2018 with the Indians he recorded five games with six-plus strikeouts, including a pair of eight-strikeout games. Over 123.1 combined innings between Indy and Pittsburgh, he allowed nine home runs and averaged 8.0 strikeouts per nine innings. J.T. Brubaker: Brubaker has bettered his game throughout his time in the Pittsburgh organization, going from a 2015 sixth-round draft pick to Pittsburgh's 2018 Minor League Pitcher of the Year and No. 27 prospect. He started in 22 games for the Tribe in 2018 -16 of which lasted at least five innings - going 8-4 with a 3.10 ERA. In 154 innings between Altoona and Indianapolis, Brubaker allowed only 0.5 home runs per nine innings. Eduardo Vera: For someone who could be making his Triple-A debut this season, Vera must again prove consistency in Double-A before impacting the Indians starting rotation. After having Tommy John surgery in 2015 and pitching in only seven games the following season, he earned two Pitcher of the Week honors and was named a 2018 Florida State League midseason All-Star with Bradenton. In his final 10 games in 2018 with Altoona, Vera collected seven wins with a 2.32 ERA. Austin Coley: Coley's 2018 season was cut to only 14 appearances (12 starts) as he battled a shoulder strain in May and August. He began the year with the Tribe before being injured and finished out his last five games with Altoona. In Double-A, he registered a 3.57 ERA over 22.2 innings. When healthy in 2017, Coley went 6-4 with a 3.01 ERA over 29 games (23 starts), leaving promise for his 2019 campaign. Steven Brault: In 2018, Brault saw most of his time in Pittsburgh as a reliever, making 45 appearances (5 starts) and registering a 4.61 ERA with 82 strikeouts. Through 5.1 relief innings in Triple-A last year, he threw for seven strikeouts and only allowed six hits. Brault led the International League with a 1.94 ERA in 2017. Brandon Waddell: Between Altoona and Indianapolis in 2018, Waddell went 7-9 with a 3.59 ERA. He began the season in Double-A before being called up for the remainder of the season. In his final 11 games with Indy, he went 3-4 with a 2.95 ERA, bettering his season ERA in Triple-A by over 3.5 runs. He also held the opposition without a home run in 23 of his 28 appearances, establishing a new career high.